Ask the ROLLS Technology Store experienced personnel for assistance and guidance. You will get all the information you need on products that are of interest to you, as well as suggestions for other products that might suit your needs. 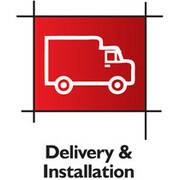 After purchasing a product either at www.rolls.com.cy or at the ROLLS Technology Store, you have the option of having the products delivered to a designated address. The delivery cost is calculated based on the total weight of the order and the rate is the same all over Cyprus. Please refer to the pricelist for more information. 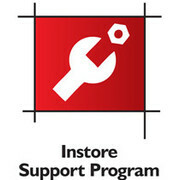 Devices are being installed by the ROLLS Technology Store technicians, upon request and by appointment. There are specific installation information and cost depending on the appliance type. Please refer to the pricelist for more information. 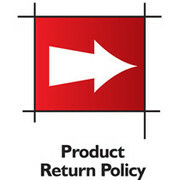 Product return/refund policies are in power. Please refer to the guiding form or contact Rolls Technology Store for any questions. At ROLLS Technology Store, we realize that when purchasing a new product, you want to enjoy it hassle free. That's why we have created a customer support program that includes in store assistance and guidance, product delivery, appliances installation and after sales service. The ROLLS Technology Store team is always at your disposal when requested to fix or provide maintenance of a product during or after the warranty period. Presenting the warranty documents is not needed, as a purchase history is recorded at the time of purchase.